Succulents: Are these the new pet rocks? You’ve seen them at grocery stores and garden centres and chances are, you now have one on your bedside table. The Tamagotchi of your youth has now turned into a leafy, cacti-looking plant, a succulent to be exact. 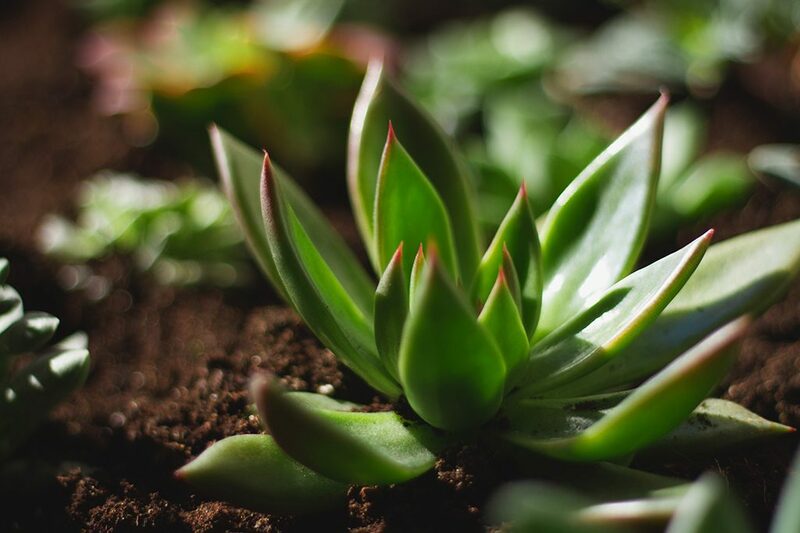 Succulents are plants with thick stems and leaves that help them retain water, quite similar to plants you would find in the desert. This kind of plant needs some sunlight, but it doesn’t need to be watered that often — perfect for us forgetful students. It seems like everyone has one now, but why? Is having a plant the sign of growing up, or is it just a responsibility we want to have to make us feel like we’re doing something right? Where did this desire for green inanimate creatures as companions originate? For people in the big city who feel like adding some ‘nature’ to their space, succulents are the perfect fit and perhaps this is where it all started. Just by searching succulents on Instagram, you’ll find endless posts of bright colours and cool layouts featuring the famous plant. They are literally the hippest plants these days and for good reason. It’s easy to see why students want plants like these in their apartments or houses. With succulent sales on campus and many shops around the city that sell the beloved plant, they’re pretty easy to get your hands on. Raymond’s Flower Shop on Weber has seen some increase in succulent sales recently, as they have grown more popular. “They fit into the nicest, smallest little places,” Petra, a florist at the shop, said. Students are often subjected to living in small spaces, whether it is a dorm or a small apartment, which is why these plants are a practical accent. “Students will probably pick up some for their dorms [or] for small areas like their desks,” Petra said. As for the care and maintenance of the plant, they’re a very easygoing species. Since they’re related to the cacti species, which can thrive in places with limited amounts of water, they too don’t require that much. “They are in the cactus family so you can get away with a little more mistreatment than other plants. But they will take more water than a cactus,” she said. Succulents may just be the easiest plants to take care of and the most affordable due to the fact that they won’t die after a couple days like flowers will. They wont fill your home with an obnoxious scent and will be happy with any spot you put them in. “It depends on where you have them. Do you have them near a heat register, how dry is it in your apartment or house? It’s never the same conditions for two people,” Petra said. Yes, it’s likely this houseplant fad was started by mainstream city folk who posted attention-grabbing photos to social media, but perhaps we should be thanking them. Some trends brought on through social media do nothing but make society look stupid, whereas succulents have little drawbacks. You’re making your small student space look welcoming and you’re purifying the air around you too. If you don’t already have a succulent, odds are you’ll get your hands on one soon enough and when you do, make sure to handle it with care. Keep it near a window, water infrequently but in high amounts and always read it a bedtime story. As if exam season isn’t hard enough, no one needs a dead succulent on their hands.